Arbonne was last night announced the winner in the Pure Beauty Awards in the category of “Best new electrical product” for the Genius Ultra skincare device. This wonderful little chargable hand held device delivers amazing results that can be seen after just one use, it can be used on the forehead, eye area, cheeks, jawline and neck as well as the lips. The Genius Ultra works by emitting 300,000 low level ultrasound waves per second along with your choice of 3 different levels of warmth to deliver a deeper, more effective, and uniform application of the Arbonne anti aging products to the skin than the fingertips alone can achieve. 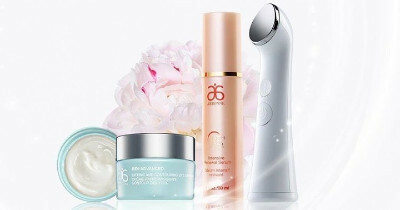 To celebrate the winning of the award please contact me if you would like a free 15min trial of the Genius Ultra device during November and as an extra bonus if you then decide to treat yourself and purchase a Genius Ultra during the month of November you will receive a 60min Arbonne facial of your choice for FREE! For more information about Arbonne please click on the Arbonne tab in the headings at the top of the page.